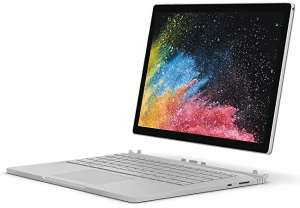 Are you looking for the drivers for your Microsoft Surface Book 2? 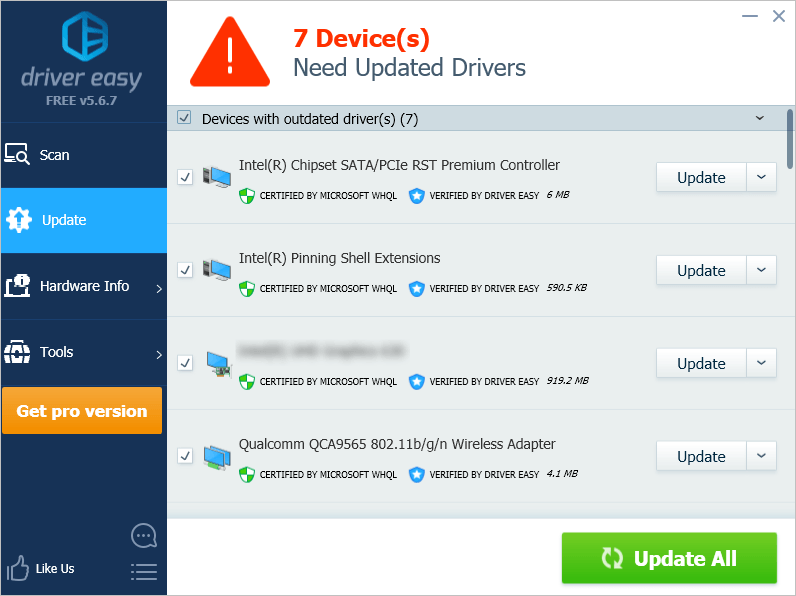 If you don’t know where to download and how to update its drivers, you’ve come to the right place! It’s very, very easy! You should be able to do it on your own easily and quickly after you read this article. You can not only keep your Surface Book 2 in good condition but also avoid many unexpected computer issues after updating its drivers to the latest version. 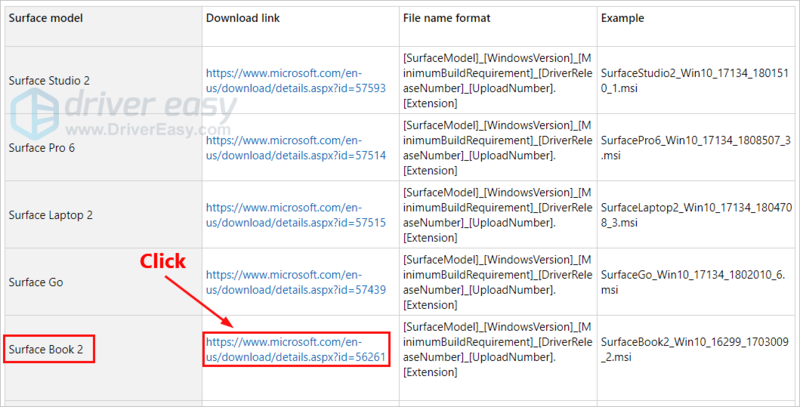 Method 1 – Manually: You can download and update the drivers for your Surface Book 2 on your own. This requires some time, patience, and sometimes even computer skills. Click here to visit Surface Book help. 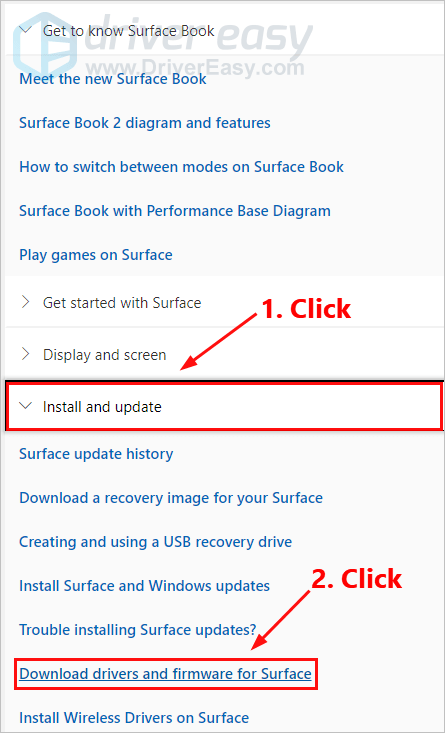 Scroll down to the Help list, then click Install and update > Download drivers and firmware for Surface. You’ll be redirected to a new web page. Scroll down until you see Surface Book 2 on the table. 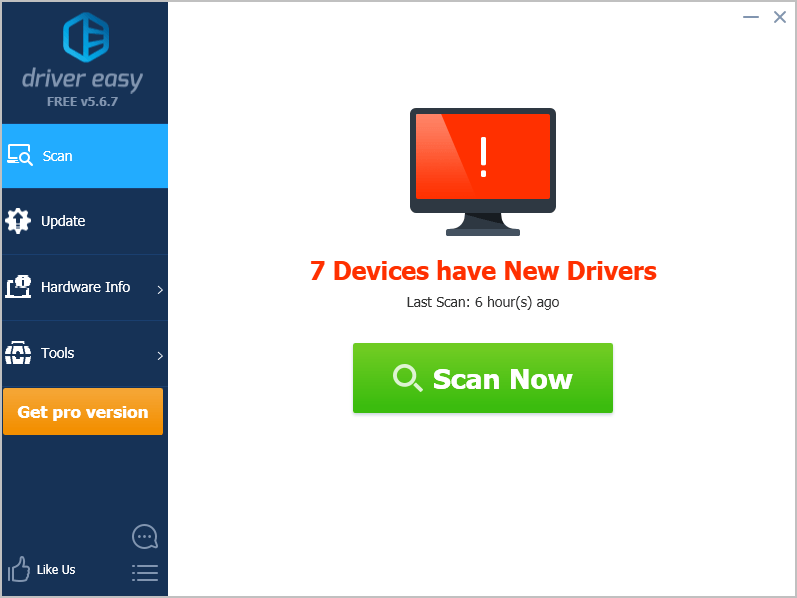 Then click its drivers download link to continue. To update your Surface Book 2 with the latest drivers and firmware, select the .msi file name that matches your operating system version. Then click Next to start downloading. SurfaceBook2_Win10_17763_1805009_0.msi. If you’re not sure about the version of Windows 10 you’ve installed, go to Start > Settings > System > About to view the OS Build number. Double-click the downloaded file and follow the on-screen instructions to install its drivers. If you don’t have the time, patience or computer skills to download and update the drivers for your Surface Book 2 manually, you can, instead, do it automatically with Driver Easy. You don’t need to know exactly what system your Surface Book 2 is running, you don’t need to risk downloading and installing the wrong driver, and you don’t need to worry about making a mistake when installing. Driver Easy handles it all. Please leave your comment below if you have any questions or suggestions!